Have a question about the Akona AKB605 Classic Regulator Bag? The dual zippers make loading and unloading your Classic Regulator Bag simple. 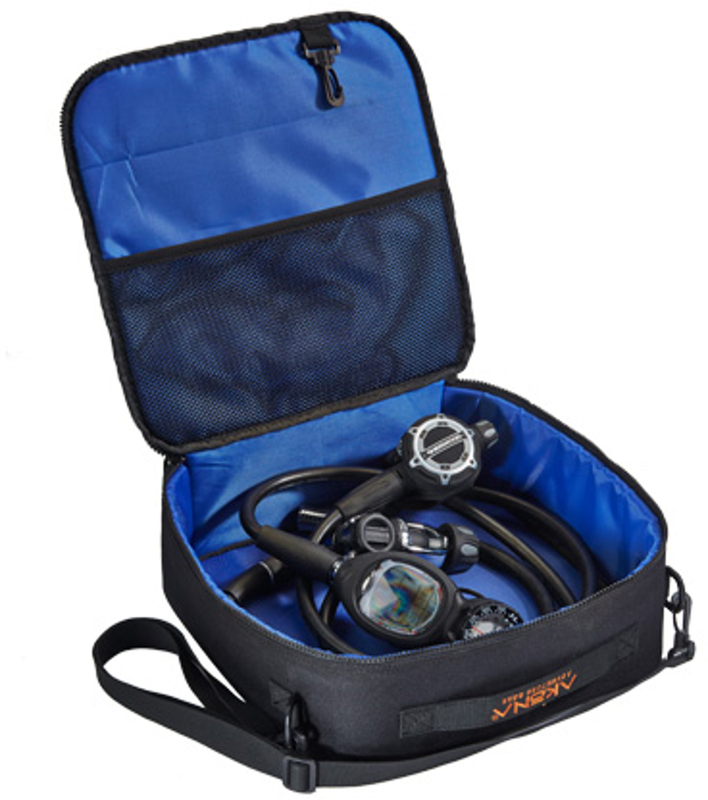 The fully padded interior is large enough to hold any regulator setup including octo, inflator hoses, and/or console. The Akona Classic Regulator Bag has a mesh sleeve that conveniently holds a log book, owner's manual and or any other small loose items. Includes a padded console sleeve to help protect your pricey dive computer or gauge console. Would have rated 5 if it included straps to hold hoses in place. I also pack my dive computer in this case.